TreeLab is thrilled to announce that its native trees and plants will be available in a retail space by the end of the summer! 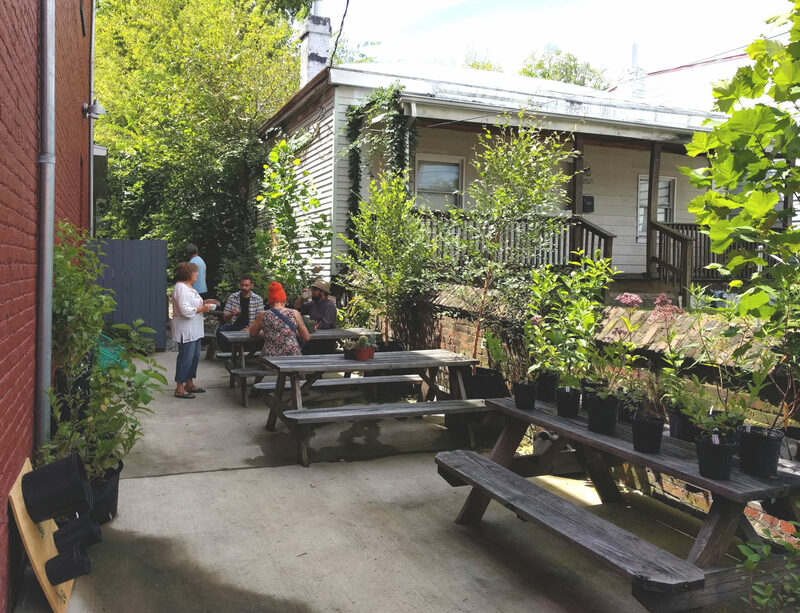 Gather Home and Garden in Church Hill – now rebranded as Pomona – is opening a larger storefront with an outdoor patio perfect for hosting larger plants, such as trees, shrubs, and perennials. Pomona has established itself as a reliable source of high-quality houseplants and a resource for plant care. TreeLab’s plants will be joining their new location in Church Hill, right up the street from 17th Street Market. Pomona’s new store is slated to open the first week of September. TreeLab attended a sneak peek event after setting up its plants on the outdoor patio. Read more about Pomona’s expansion in Richmond Magazine, below. 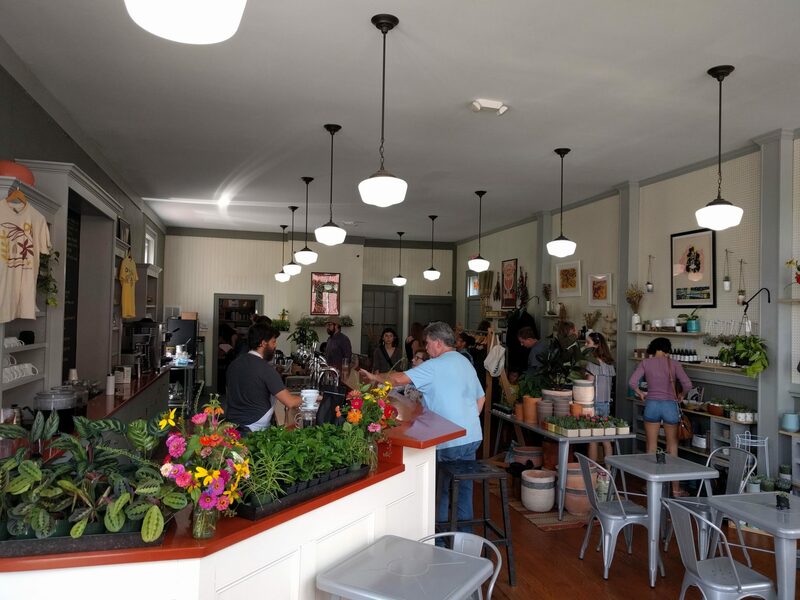 From one Church Hill location to another, Gather Home and Garden is relocating to 2025 Venable St., the former Roaring Pines location, and re-branding as a two-in-one concept called Pomona, a retail garden shop offering food and beverage set to open by mid-August. Pomona has partnered with Hazel Witch Farm, a recently launched woman-owned farm on Nine Mile Road, to provide herbs and flowers for the shop. The store also will carry native plants from TreeLab.